The new Republican tax plan repeals the Johnson Amendment, which prohibits religious groups and churches from making political statements and backing certain causes. Democrats have already opposed any repeal of the Johnson Amendment. 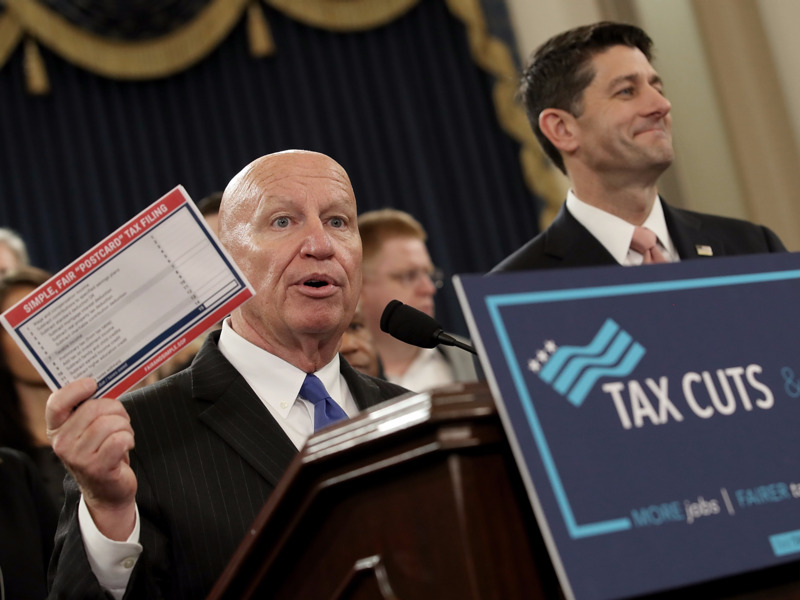 WASHINGTON — The Republican tax bill unveiled Thursday repeals a longstanding law that prohibits tax-exempt churches and religious groups from taking political stances. Known as the Johnson Amendment, it stipulates that churches and religious groups are not permitted to endorse candidates and back political efforts while maintaining a tax-exempt status. Under the new bill released Thursday morning, churches would not be penalised “solely because of the content of any homily, sermon, teaching, dialectic, or other presentation made during religious services or gatherings,” according to the text. In October, nearly 100 Democratic lawmakers sent a letter to Brady and Rep. Richard Neal, the ranking member of the Ways and Means Committee, urging the committee to keep the Johnson Amendment in place, fearing its repeal would be included in the tax bill.